With Season 2 confirmed after the success of Late Night Banter Season 1, I began the research and was pleased to have lined up a number of interesting guests really quickly. The fact I was able to refer them to this website to view previous episodes really helped and in the main after watching they were pleased to take part. As we started filming in March as Season 1 came to a close, Gurpreet Sandhu the technical genius who works with me on Late Night Banter and a who has been a supporter of the project from day one asked that all important question, "So when are we going to kick off Season 2, Del?" I thought and sugested if we could get enough interviews in the can during March and April then why not May? The first Friday in May was May the 4th and when I said that we both said simaltaneously - "May the 4th Be With You", so OK we are both Star Wars nuts. It was an ambitious date and timeframe to get our recordings done but thinking of all the fun we could have with the whole May the 4th thing was too good to miss. "How about a Star Wars themed promo trailer?" Gurpreet said, "Yes sure I could dress as Darth Vader and introduce the show" I replied. Bang, there it was the germ of an idea which then saw me go out and buy a Darth Vader costume and ligt sabre and turn up at the studio to play dress up. Its fair to say its not the typical filming that goes on at the Sikh Channel so there were a few strange looks but Gurpreet and I had fun doing a Season 2 promotional video where I play both myself and Darth Vader, some promotional photos and also me interviewing Darth Vader, banter style. Not sure if all viewers are going to fully understand the premise but for those that have heard about it they think its crazy but fun - just the reaction we wanted. When I contacted Baroness Sayeeda Warsi's office to see if she would be on Late Night Banter her PA Nikki came back to me to ask me about the show and the format. I sent her the link to this website and suggested she or Sayeeda watch an episode and decide if it was something she would like to do? To my surprise I was amazed when Nikki came back to me and said she would be interested in doing the show but only if we could record at the House of Lords! On the day of the interview Gurpreet my brother in arms on Late Night Banter and I rocked up at the House of Lords for interview number 2 of 3 we were going to do that day. 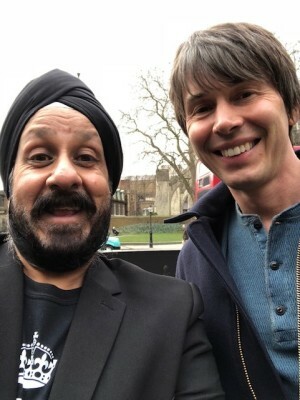 As we queued to go inside the House of Lords I noticed a guy walking towards us and recognised him as none other than Professor Brian Cox. Not one to be shy I said hello and told him he had spoken at my employer Oracle Corporation's MBX event last year. 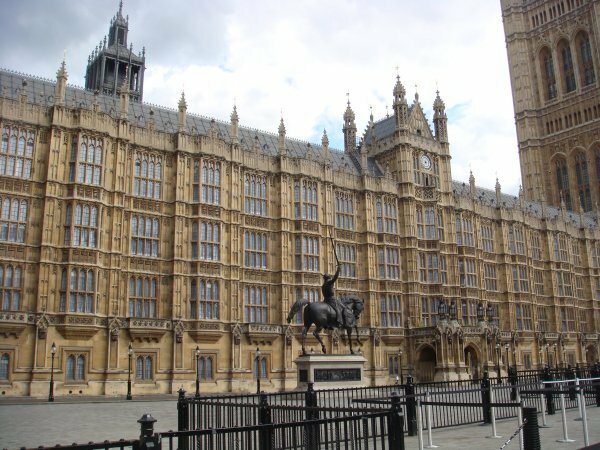 He remembered the event and then politely asked what I was doing at the House of Lords. I explained I was there to interview Baroness Warsi for my TV show Late Night Banter and he commented that it sounded like an interesting show, so I gave him a card for the show and said I'd love to have him as a guest - "Sounds like fun, lets see", he said as he took my card and walked away. Having cleared security we waited for Baroness Warsi and while we waited a procession of famous faces walked past us, including Lord Ashdown, Lord Sugar and Baroness Lawrence. I so wanted to stop them and invite them onto the show but I observed ettiquette and kept a healthy distance away. After a few minutes Baroness Sayeeda Warsi appeared and greeted us and from the initial chit chat I got the feeling this was going to be a fun interview, as she was natually funny and has a terrific sense of humour. As Sayeeda led us along the miles of corridors through the Lords to the room she had booked she said; "You do know Del I actually turn down about 90% of the interviews I'm asked to do even the BBC and Question Time". I replied, "I have to ask, that being the case, why on earth did you agree to my interview?" What she said next surprised both Gurpreet and I, "Well I liked the format of your show and it also looked like it would be fun, that's why I said yes". I was both proud and humbled by that statement and now under pressure to make sure we had fun. As it happens I had nothing to worry about as Sayeeda was an absolute joy to banter with, she wasn't fazed by anything I asked her and she used the opportunity to show that she is a fun person and has no heirs and graces, and is very much a straight talking Yorkshire lady with strong working class roots. At the end of filming when I asked her how she felt it had gone, she said, "Great, I really enjoyed that, looking forward to seeing it on TV". 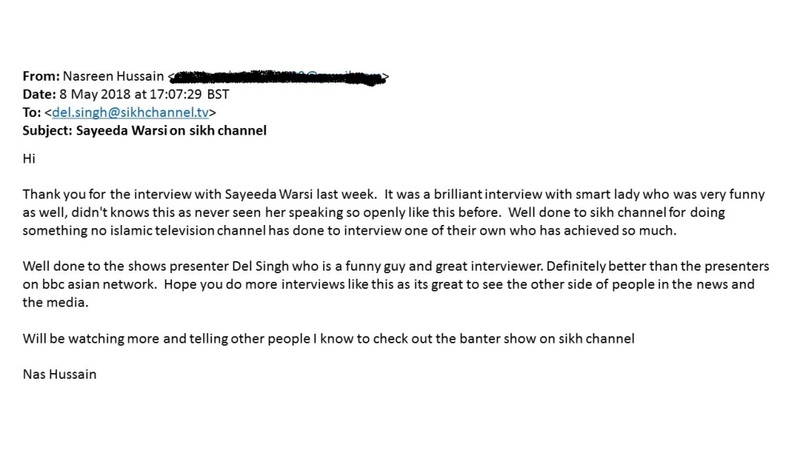 I'm sure Sayeeda Warsi enjoyed her show which opened Season 2 of Late Night Banter on Friday 4th May on the Sikh Channel. Thankfully she is not alone as since the show aired I have had lots of great feeback in the form of calls, texts and messages, however the email below I found most pleasing as it is unequivocal proof that you can attract people from all backgrounds if you put together good meaningful content. It was a pleasure meeting Dr Sarah Jarvis and at her home as her hectic schedule meant she was filming for the Patient.Info website and kindly spared us an hour. The diminutive Dr Sarah was very much larger than life and we enjoyed some great chat and banter. I especially enjoyed the fact she still has the teddy bear that she had as a young girl and which she used to inject with Ribena. ​Interesting to hear how the role of the GP in our community has evolved from simply treating illness to educating patients so they can avoid more serious illness further down the line. I was impressed by the huge wealth of medical information available online at www.patient.info, and would recommend it to people if they want to learn more about a plethora of illnesses and conditions. I have been visiting the Redbridge area for the last 38 years ever since my sister married and settled in the Ilford, Redbridge area. 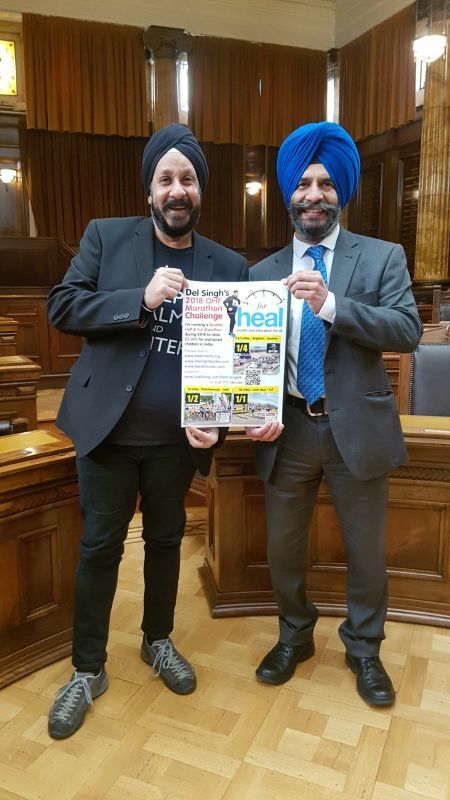 It was great to meet up with the man who in recent years has been in charge of literally running the place, Leader of Redbridge Council, Jas Athwal. Jas and I are roughly of the same age and we had quite a lot in common in terms of our backgrounds and upbringing, although its fair to say he dresses up whereas I tend to dress down! It's always interesting to learn what other people went through in terms of growing up in the UK during the 1970's and much of what Jas said really resonated with me. We even support the same football team Arsenal, which probably explains why we are both so depressed and know how to handle dissapointment. Really good of him to free up the very historic Council Chamber at Redbridge Town Hall for our interview too. When I was setting up an interview with magician and entertainer Magic Singh having seen his showreel on YouTube I was keen to do something more than a sit down chat, so I set him up to do some street magic at London's Borough Market. It was a lovely sunny day and the market was buzzing with lunchtime crowds when we arrived with camera and microphones. When I approached people to ask if they wanted to see some street magic they were all up for it and pretty soon we had attracted quite a crowd. Magic wowed the crowds with some great sleight of hand turning Lotto slips into £20 notes, amazing card tricks and even popping a card out of an iPhone. We seriously could have stayed there all day and kept the punters enthralled but an interview beckoned. Our interview was probably one of my favourites as we both went with the flow, he was pretty relaxed and had a great laugh which isn't always possible when you meet someone for the first time and then 20 minutes later you're interrogating them. He put up with my lame jokes and its amazing how quickly the time went as we bantered. He is well travelled and has performed for some serious A-Listers from the world of film, tv and sport. 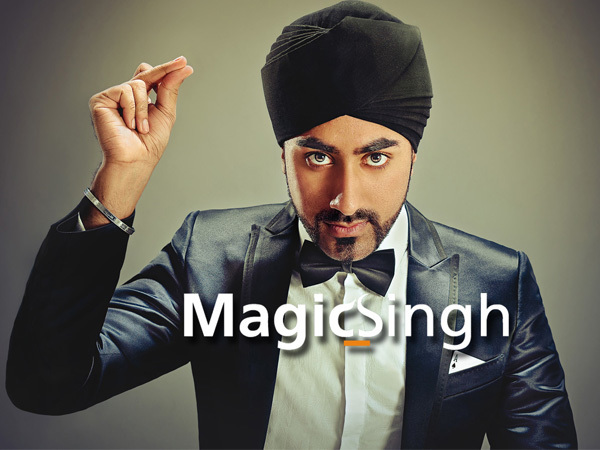 He is definitely a very talented young man who will go far, and in addition to his interview which you can watch here on this website, do check out his website and showreels at www.magicsingh.com . 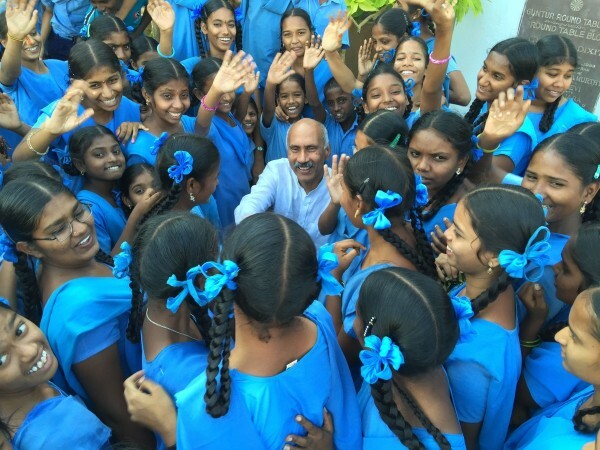 When looking for a smaller charity to fundraise for during 2018 it was suggested that I consider a charity founded in my hometown of Peterborough called Health & Education for All (HEAL) which through donations had built an entire village in Southern India to take care of around 3000 orphan children. 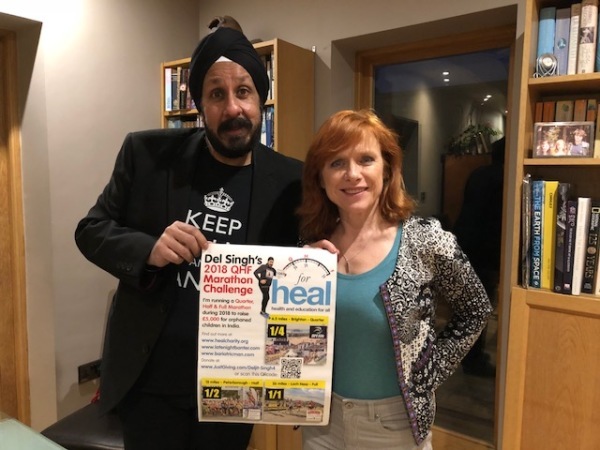 HEAL was founded some 25 years ago by Dr Satya Prasad Koneru a GP who had moved from India to Peterborough in the 1970's. After I had met Prasad as he likes to be called I couldn't help but be inspired. Here was a man who as a doctor a GP in the UK didn't have to do anything but he had made a pledge when leaving India that one day he would return to help those in povery he was leaving behind. In 1992 Prasad returned to his families home village of Guntur and decided to donate his family home to the charity HEAL he had founded in the UK some months earlier. Using his own money and the help of a dedicated band of volunteers he turned the house into an orphanage for 26 children. 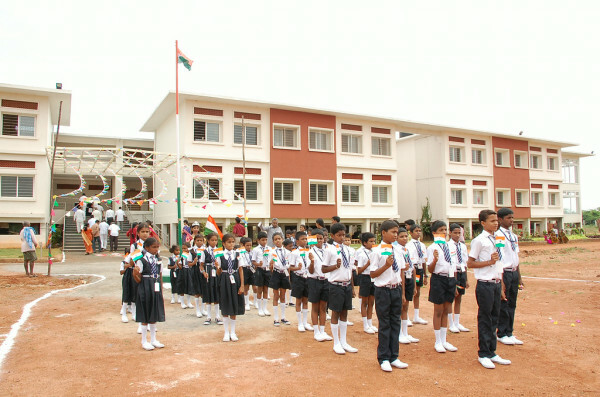 Over the coming years Prasad and the volunteers supporting HEAL raised enough money to buy a 27 acre site in Andhra Pradesh and build HEAL Paradise Village a purpose built facility that now takes care of the health, education and well-being of 3000 orphan children. Click here to watch a short video on the Children of Paradise at HEAL's Village. 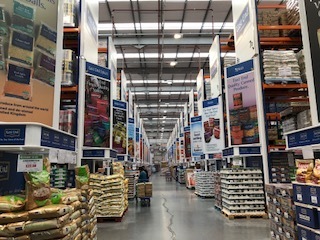 Sikhs have made and continue to make a huge conribution to the UK economy and East End Foods plc is no exception as one of the largest producers and distributors of ethnic foods in Europe. I was therefore pleased to meet one of the main men behind the thousands of packets, jars and tins that adorn our supermarket shelves courtesy of East End Foods, Dr Jason Wouhra OBE. Getting face time with Jason was no mean feat as he has a really full on life and I mean totally full on, as outside of steering East End Foods with his father Jasbir and other members of the clan Wouhra he is also Chair of the Institute of Directors for the West Midlands, a trustee of Aston University and on the Board of the Joseph Rowntree Foundation. 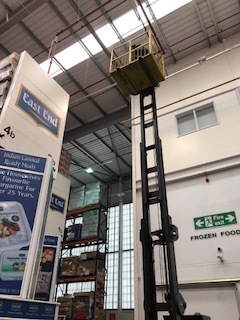 Following some filming in the East End Foods Cash & Carry in Aston which included the cameraman filming from the top of an elevated forklift we got down to some real banter about Jason's life in the West Midlands an area he is passionate about and post Brexit Britain. In addition to all of this we had some fun and even a chance to discuss HRH Prince Charles' nickname for him, "The Spiceman". I first came across Midland Langar Seva Society (MLSS) on Facebook when I saw a video of TSB unveiling a huge mural to MLSS founder Randhir Singh Heer in Birmingham. I made it my business to find out more about Randhir and MLSS as was amazed at the work they do in feeding thousands week in week out on the streets of the UK and in cities all around the world. Taking langar out of the Gurdwara and onto the streets to feed those who really need it is amazing and MLSS with their Langar Bus in Birmingham and amazing volunteers all around the world are helping thousands that have been let down by systems and governments, and sometimes by difficult circumsatances. 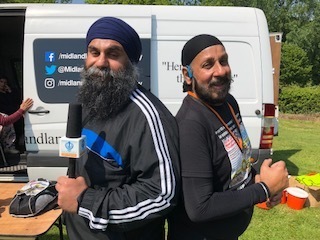 Having covered the Glassdoor Charity Sleep Out in Season 1, I wanted to do another Late Night Banter out on the streets and contacted Randhir when I heard MLSS were doing a 15 mile charity walk in Birmingham to raise funds to help disadvantaged girls in Punjab, India get married. What is more as I was training for a marathon what better than a bit of a walk on a Saturday afternoon? Arriving in Walsall early Saturday it was a horrible drizzly and cold morning but not even the weather could dampen the spirits of the group of 50 walkers gathered to walk for MLSS that day. Thankfully the weather improved as we started walking and collecting money in buckets as we trekked into Central Birmingham. It was amazing that lots of people stopped their cars to donate, many spotting the very distinctive MLSS Langar Bus that accompanied us and they all applauded the work Randhir, Param and all the MLSS team of volunteers do. As someone who does a very small amount for charity I was humbled and in awe of the MLSS team that go out day after day and night after night in all weathers to feed total strangers - this is true seva and whilst it is sad that in this day and age we need organisations like MLSS, I and the thousands they feed are glad they do what they do. Please support MLSS through their website here. Coming from a family that has spawned some genuinely funny men in the shape of Hardeep and Sanjeev Kohli I thought the eldest of the three brothers Raj would be the serious one - well he did join the Police and is the highest ranking Sikh Police Officer in the Metropolitan Police, far from it he was a funny guy too. Maybe I was just laughed at his jokes as I didn't want him to start shouting, "Taser, Taser Taser" before electrocuting me - lol. If I thought I had a tough time at school, I found Raj's story of how he was bullied mercilessly at one of Scotland's most famous private schools quite horrific. As the only pupil with a turban he clearly was put through the ringer and he took it all without complaining to his parents of teachers, something I would never advise anyone to do in the face of bullying. Clearly he was made of strong stuff as he rose above it and went on to forge a hugley successful career in the Police force. On a lighter note we talked music and he is probably the world's biggest Deep Purple fan, he was impressed that I knew who Ian Gillan was and was even more amazed to hear that the first big band I ever saw was Led Zeppelin. We certainly had a good joke and great laugh, not sure he appreciated the Ann Summers furry restraints and Lynx as the what the modern Police officer might have to settle for in these austere times as substitute handcuffs and CS spray. I was pleased in Season 2 of Late Night Banter to interview more inspirational female guests, not for want of trying in Season 1 I hasten to add. 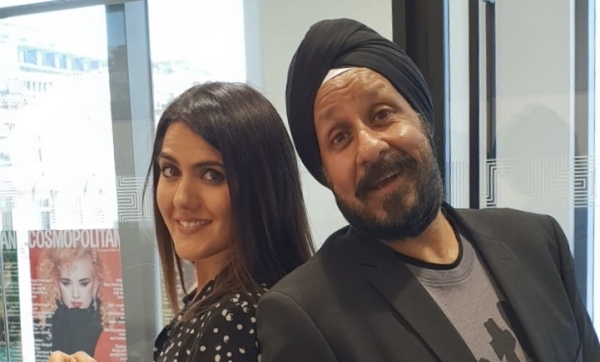 Their stories were remarkable and none more so than Dr Kamel Kaur Hothi OBE who literally shattered several glass ceilings in the world of banking in respect of promoting both gender and ethnic equality. Amazingly Kamel rose from a high street bank cashier to head up Lloyds Bank's initiatives around diversity in banking. 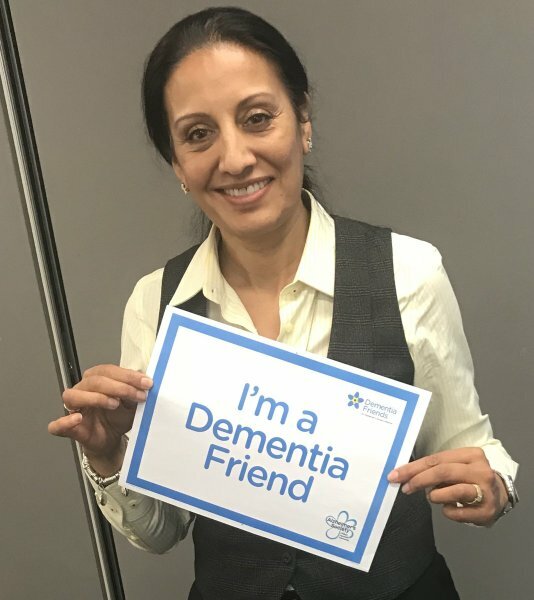 Although she has now retired from the world of banking after some 38 years she is still very active in the business world and is on the board of a number of charities including Alzheimers Society. Kamel got quite emotional when she recounted how she was married at 19 years of age as part of an arranged marriage and the trials and tribulations she endured in balancing the role of a good Sikh wife and mother with a high flying City banker. She is passionate about not just Sikh girls but all girls being given the best chance to pursue a career and better understanding particularly in the Asian community around arranged marriage and treating a daughter in law with the same respect you would your own actual daughter. Disruptors are hailed for their vision and insight when they change attitudes and business, and Farrah Storr the Editor in Chief at Cosmopolitan UK or Cosmo is a fine example of a true disruptor. Also unlike those starting with a clean slate she took an iconic brand in the shape of Cosmopolitan magazine and re-invented it for the 21st Century. She took huge risks, gambles and lost 80% of the magazine staff in doing it her way but boy did she succeed, as today Cosmo has a read ership of over 10 million in hard copy and digital formats, and it is now the No1 women's magazine in the UK, something it had not been for some 15 years before she took over. Outside of the world of publishing and women's magazines there was plenty for us to banter about, not least her Asian heritage which was something she didn't advertise whilst growing up but something she now celebrates and is actively encouraging more guys and girls from BAME backgrounds to get into publishing. 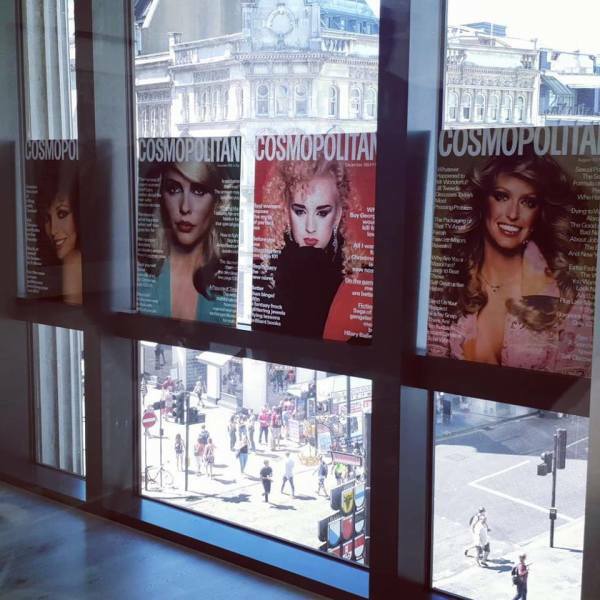 Cosmopolitan scholarship is hoping to get more diversity into publishing as are initiatives like Cosmpolitan Housing. 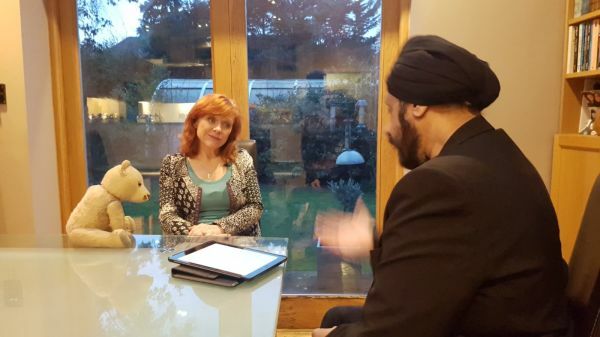 Farrah genuinely enjoyed our interview and complimented me and Gurpreet the Sikh Channel Controller who was filming that day for taking the channel into new areas with different guests, "You guys are disruptors too" - I'll take that all day long and its great that we are not doing the usual round of guests that many religious channels do. ​There was even the offer of me featuring in an edition of Cosmo, not the cover alas but then you can't be glam with a face like mine.....lucky to be allowed on TV with a face that was made for radio - lol. Meeting and interviewing deeply religious people is a challenge as one never knows whether they will rise to joke or see the funny side of things of a flippant comment from me. 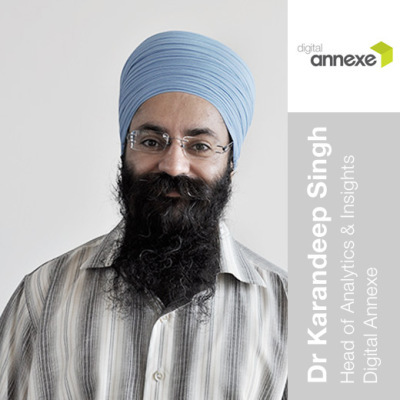 I had no such problem with Dr Karandeep Singh who proved that not only is he a very analytical man, but he is also very creative and has a fun side too. 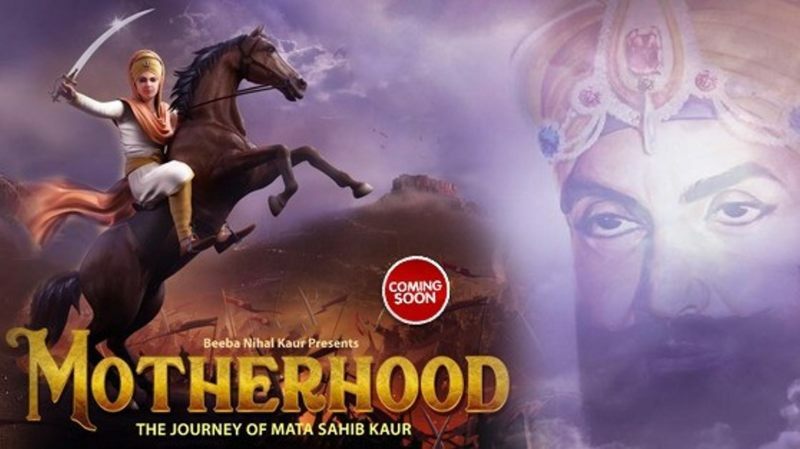 He is a self-confessed numbers nerd which has served him well in terms of his career in digtal marketing but his passion project has been to make a movie about Mata Sahib Kaur Ji the wife of Guru Gobind Singh Ji and custodian of the Khalsa Panth after he passed away. She was a strong, inspirational woman who saw her husband and children sacrificed for the Sikh religion by Mughal tyrants and she continued the fight. Many including myself don't know her story so this animated film will be a great way of educating the world. The move is slated for general worldwide release in April 2019 and you can get a taste of the move by clicking on the image below for a view of a teaser trailer. 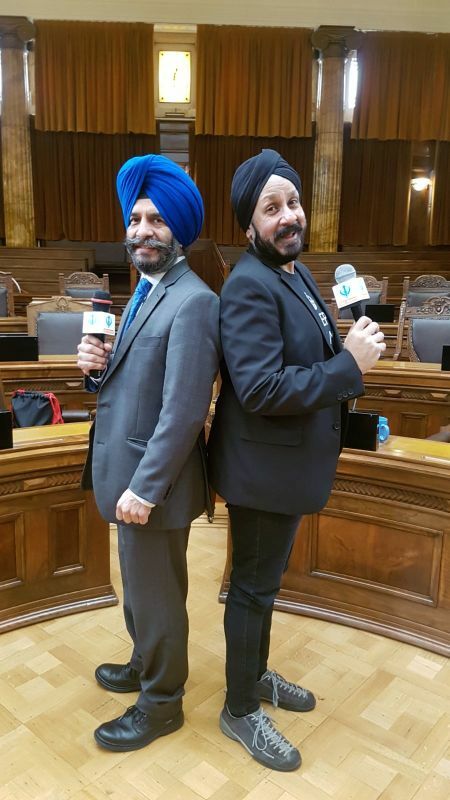 I met Opinderjit at the Sikh Channel studio on the day I had just filmed a trailer for Season 2 of Late Night Banter and I was dressed as Darth Vader - yes you can't make this stuff up. She and more so her young son saw the fun side of it and when I learned of her role at University of Wolverhampton I knew she'd make a great guest for Late Night Banter. Opinderjit has written a number of texts on the Sikh religion and her books are used by schools and other organisations as a reference with regards Sikhism and society today. During our discussions I found the whole area of how different Sikh communities practice Sikhism fascinating and we could have spent many hours discussing this single facet alone. 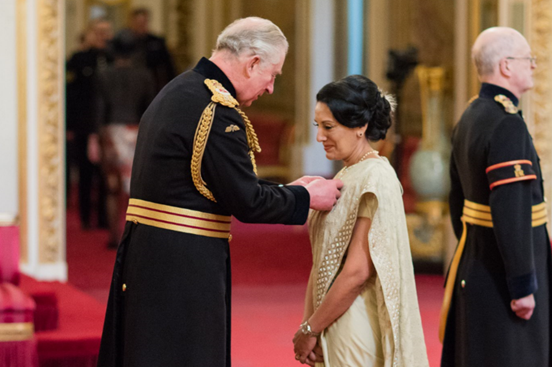 Clearly Opinderjit's great work hasn't gone unnoticed as she was recently awarded an MBE. For a project that was planned to run as 4 x 30 minute shows airing over 8 weeks Late Night Banter has exceeded all of our expectations. It is quite an achievement to have now concluded a second season of 12 shows, that's a total of 24 x 1 hour shows that aired weekly over an 8 month period! 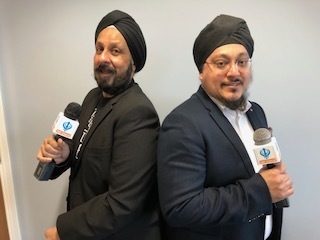 During the last 8 months the Sikh Channel team especially Gurpreet Sandhu the Channel Controller have worked closely with me on ideas and planning which has allowed the Sikh Channel to inteview an ever increasing diversity of amazing guests. 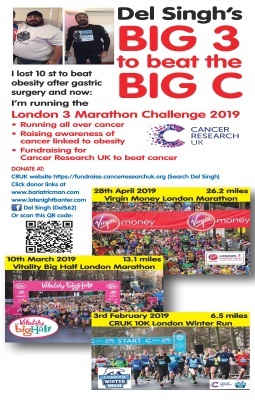 From Bhai Fauja Singh the 100 year old marathon runner through to Baroness Sayeeda Warsi at the House of Lords through to Farrah Storr the Editor in Chief at Cosmopolitan Magazine. We literally have taken the Sikh Channel to places no one ever dreamed of. As I said all of this has been made possible by an amazing team at the Sikh Channel who have all been so incredibly supportive of me and my efforts with Late Night Banter, and the brilliant guests who have accepted by offer of an inquisition. But the most important people in the mix have been the thousands of viewers who have tuned in literally all around the world to watch Late Night Banter on TV or Online. Without so many people watching the show and telling us they enjoy it and want more we would have stopped after Season 1, but your enthusiasm and appetite for more of my mad ramblings with inspirational guests saw us do Season 2 and is the driver for us to continue. As we wrap for Season 2 I'm asked if there are plans for Season 3? The answer is maybe, as right now I need some time off as planning, filming and creating 24 individual shows in a period of a few months was no mean feat. As this was never a full time occupation for me and I do have a day job and a diary full of activities like running marathons and doing charity fund raising, so time was always going to be the limiting factor. So as 2018 draws to a close I have no plans for further shows this year but lets see how I feel and of course how you our lovely viewers feel about more Late Night Banter. 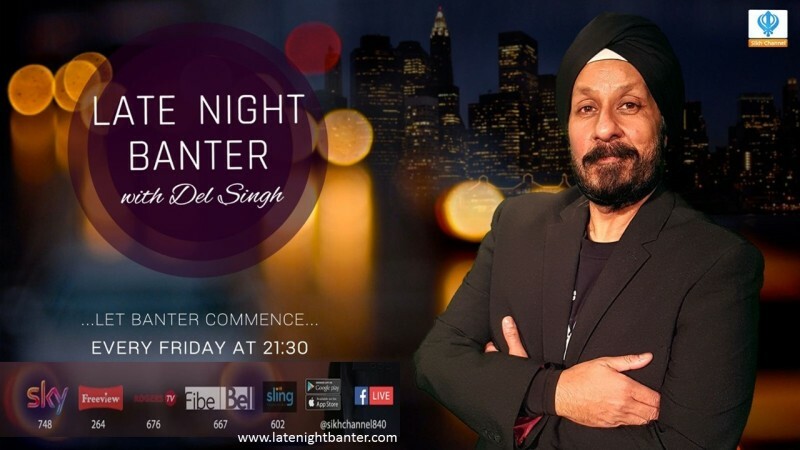 Thank you again for watching Late Night Banter Season 2 and supporting our efforts for something a little different from the usual on The Sikh Channel.